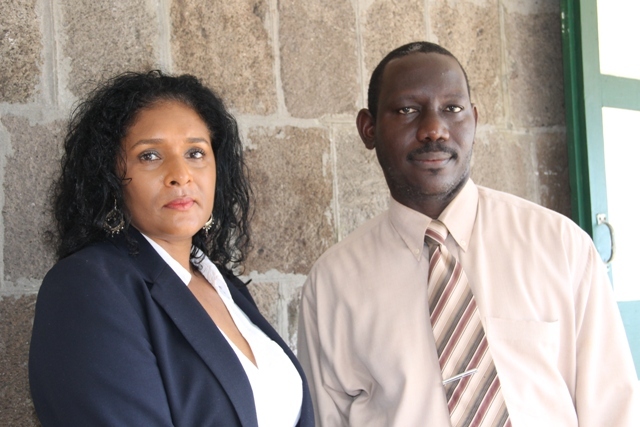 NIA CHARLESTOWN NEVIS (October 21, 2015) — The Ministry of Tourism in the Nevis Island Administration (NIA) has a new Communications Officer. Shelagh James has taken over the position as from October 19, 2015. Assistant Permanent Secretary in the Ministry of Tourism John Hanley made the announcement in an interview with the Department of Information on October 21, 2015. He said the Ministry was delighted to welcome the newest addition to its staff. He described James as a passionate individual. According to Hanley, there was a lot going on at the Ministry and there was the need for a clear line of communication between its stakeholders and the general public about the many accomplishments in the tourism industry on Nevis. “You would recall that several months ago we had Ms. Hazel Francis and one of the main aspects of her work was the much-acclaimed television series “On the Tourism Trail” and Ms. James is going to be continuing that. “I’m sure that is something that everyone is looking forward to and we are really glad to have Ms. James on board,” he said. “I’m not brand new to the island. Most people would recognise me for the work that I did with the Nevis Solid Waste Management Authority. “There’s lots of work to be done here. There’s plenty happening in tourism and I’m hoping that I’ll be able to share that information with everybody island wide and even in St. Kitts. It’s going to be exciting. I’m open to all kinds of opportunities and presentations and I do hope with the support of my team that I will be able to bring it to you,” she said.